22nd December, 2006. In this issue: New Features for classifieds Ads, New Articles - Vehicle Care and Taking Great Photos. New Trek Notes - Warraweena - Copper Track, Calvert Range to Eagle Hwy and Steep Point. Welcome to the last issue of the ExplorOz newsletter for 2006. It’s a busy week for most, but I’m sure you’ll enjoy the news we bring in this edition. Read on for summaries and links to 2 new articles, plus 3 new trek notes that have just been published today on the ExplorOz website. As usual, we have new products just added to the Adventure Shop, so if you have time over the Xmas break, we’ve got plenty in store for you to browse through. Hot off the server yesterday, we launched new features in theTrader. Sellers will find that we now offer 5 different options for setting up a Trader ad including a new Premium Ad that will also appear in our Run of Site Banner Cycle (top right hand corner of every page on the site). With no restriction on text, and a massive 7 images, you can really show off what you’re selling. Since online buyers need to feel confident they’re not being misled, you should show photos from different angles to maximise their understanding of what you have for sale. This is a much better deal than other high-profile auto websites that sell similar style ads for $59 dollars! This is about half the price that you’ll pay on other high profile auto websites to run a basic display advertisement. We don’t even ask you to come back every 30 days to reactive your account to keep your ad running – simply list it and leave it to sell! If you are a Member you will need to be logged on to ensure that our system recognises if you qualify for the Free Members Displays Listing to appear in the list. For non-Members, or Members who have already used their 1 free Trader ad per year, this option will appear grey in the list and cannot be selected. This is a very simple ad that will be shown at the end of the list as it has no priority ranking. Wanted ads normally only require a simple listing so this is an ideal way to let people know what you’re looking for, at no charge. The new Trader system offers a whole new system for you to upload your photos. There is no need to resize your photos - our system will accept your photos at any size and auto scale to fit our specifications taking all the hard work out of image manipulation for you. For more tips about preparing photos for selling items in our trader, we suggest you read ourTaking Great Photos article. Rust – the silent killer. Is your expensive 4WD protected against the harsh environmental conditions of Australia? 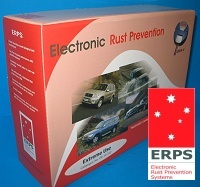 For ten years, Australian owned company Electronic Rust Prevention Systems (Australia) Pty Ltd (ERPS) has been manufacturing and distributing electronic rust prevention systems for many thousands of satisfied vehicle owners both nationally and internationally from the company’s factory on the Gold Coast. The Company continues to invest heavily in research and development. 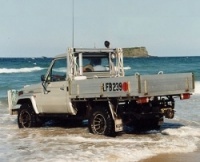 The system has been extensively used and tested in adverse environments by commercial fishermen, park rangers, surf clubs, councils, mining companies and tradesmen. Although ExplorOz.com will remain operative through the Xmas and New Year period, the office of I.T. Beyond Pty Ltd will be closed for 10 days from 5pm (WDST) Friday 22nd December. We will reopen at 8.30am (WDST) on Tuesday 2nd January 2007. Customer Service will be unavailable during this time either by phone or email and any new orders placed through the online shop during that time will not be processed until 2nd January 2007. The team at ExplorOz would like to thank all those who have; advertised with us, purchased from the Adventure Shop, become a Member, submitted trek notes, plot files, photos, feedback, and in fact everyone who has participated in the Forum and enjoyed reading our articles. It is your support that has helped the ExplorOz website grow and we could not do it without you. From David, Michelle, Jackie, Damian, Nora, and Kerry - we wish you a safe and joyful festive season and a happy new year. Note – the next issue of the ExplorOz newsletter will be distributed on 4th January 2007.